I heard there is one more type of login which is entering the 4 digit PIN number to login into Windows 8, How to use that option in Windows 8? Re: How to use 4 digit PIN number to login into Windows 8? STEP 1: Go to the metro UI screen and select the search option and type Control Panel. STEP 2: Select the section Users -> select the Create PIN option under PIN Logon and provide your desire PIN and Click OK. STEP 3: Now try to lock your computer and check for the changes. 1) Firstly you have to go to control panel and open the option called Users. 2) After that your new window popup and select users from navigation bar . 3) Select the option " PIN LOGIN " and you can find a button called create a PIN then click on it. 4) After that click on continue button and enter a desire PIN Number. 5) If you completed a procedure then you have to click on finish button. 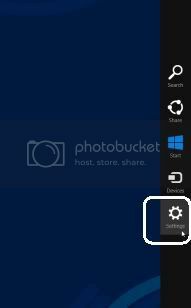 6) Now your PIN is set up for PIN LOGON to window 8 and you can use PIN for next time login. it will ask the current password and then you can create a 4 digit password according to your convenience. If you want to use 4 digit log in pin for the windows 8 then you can go through the user account settings of the windows 8 so that you can get your password as your wish and also it will be well protected if you use password for log in into the windows OS and keep your personal files secret in your personal computer. Friend, in order to make changes to the Password, you should go for PC access. If you want you can go to it by pressing Windows Key + I and go for PC Settings. Go for Users and Create PIN Password, you should enter the 4 digit Password which you want as your interest. It will be saved. go to control panel>user account>PIN password>type pin password . It will solve you problem. You can use 4 digit PIN number to login into Windows 8. It is very easy. You will have to follow these steps. Firstly, go to the metro UI Screen and type Control Panel in Search Bar. Now, in the section of Users, select Create PIN option under PIN Logon. Here, you can provide your PIN. Now, click OK. Hence, your computer has been locked successfully and you can check it by restarting it. Just fallow the steps given below..
-->Then click on option users. -->Then you need to popup and then you have to select users form the navigation bar. -->Then select Option "PIN LOGIN" Then click on PIN. -->Then continue And enter a desire PIN number. The PIN logon is similar to PIN in credit cards and other bank accounts. It allows you to setup Windows 8 login password at the most four digits. This password protection option has been added to Windows 8 for tablet users to enter code via touch-numpad, but PC users can also create PIN to logon to Windows 8 using either Windows Live account username and password or PIN code. If you would like to specify a PIN for logon for your account instead of a password, please follow the steps as blew after installing the developer preview version of Windows 8. Step 1. On the default Metro style home window, click Control Panel. Step 2. 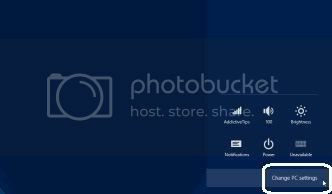 Select Users from main navigation bar and click Create a PIN on left side of the Window. Step 3.You’ll be prompted for the password of your current account. Enter the logon password and click on OK button. Step 4. Enter the four digit PIN and also retype the PIN to confirm it. Click on "Finish" to end your operation. That is all! your PIN is now set up for PIN logon to Windows 8 and you can start using it next time to login to Windows 8 account. Windows 8 recently introduced a new login method. It is the 4 digit PIN number to login.It is similar to the ATM PIN.You can follow these steps to enable this PIN number. ~~Go to the metro UI screen and select the search option and type Control Panel. ~~Select the section Users -> select the Create PIN option under PIN Login and provide your desire PIN and Click OK.
~~Now try to lock your computer and check for the changes.